Stéphane Bianchihas been appointed CEO of the Watchmaking Division, with effect from 1st November 2018. He will directly lead TAG Heuer, with the CEOs of Hublot and Zenith reporting to him. Frédéric Arnaulthas been appointed Strategy and Digital Director of TAG Heuer. The reorganisation announced today will allow us to continue to grow our watchmaking division, with two objectives: delivering products of the highest technical quality and continuing to grow our brands around the world. I am particularly pleased that Stéphane Bianchi will lead this division. Stéphane is a very talented manager and we had decided to work together for several years. 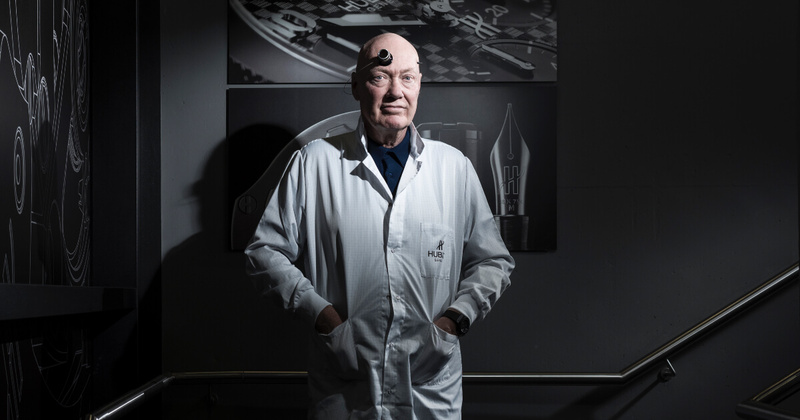 I am sure that he will continue the successful development of our watchmaking division, whilst respecting the values that Jean-Claude Biver has instilled within it". Stéphane Bianchi, 53, is a graduate of the Institut d'Etudes Politiques de Paris. A former consultant at Arthur Andersen, he spent most of his career with the Yves Rocher Group. He was CEO from 1998 to 2015, delivering strong growth and diversification of the Group. Specifically, he directly led the Yves Rocher and Petit Bateau brands. Most recently, he joined the board of another family business, the Maus Group (Lacoste, Gant, etc.). For more information visit LVMH Online.